We’ve proudly offered SkinMedica products at our clinic for quite awhile, and it’s always a pleasure to see our partners in care get some positive attention in the press. The most recent attention came in the form of a celebrity-spotting by journalists from the Daily Mail. Are the Stars SkinMedica Enthusiasts? We’ve recently learned that many Hollywood stars are receiving SkinMedica treatments. While legally we may not mention any names, this just adds to a long list of people that are thought to be using this, and the sudden attention could be the sign of a developing trend. That wouldn’t surprise us. 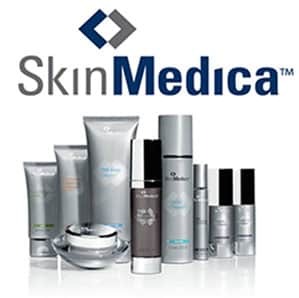 Considering our experiences with SkinMedica and the different treatments it offers for things like crow’s feet, dry skin and wrinkles. Stars have been spotted holding SkinMedica’s TNS Essential Serum. This serum (which we carry at DermMedica) is typically used as an aging treatment. It’s designed to reduce wrinkles and enhance texture and tone in the face. It’s a popular option because it works on all skin types, and the results can be very impressive. Our patients have had great results with SkinMedica treatments, and TNS Essential Serum in particular. The vast majority of our patients who have used the product report their skin as appearing more healthy or more youthful. It’s possible that our beloved stars may be enjoying those effects, too. TNS Eye Repair: This eye treatment may be effective for those with dry skin and lines or wrinkles around the eye. The cream is applied around the entire lower eyelids to get results in all the most important places. Vitamin C+E Complex: Those who want brighter skin should consider this vitamin complex. This one can be applied across the entire face, neck and chest. Facial Cleaner: This facial cleanser is a popular option for cleansing and hydrating your skin. It can be applied more than once per day for quicker results.